Well Built & a Charmingly Unique Design, with a Very Practical and Generous Sized Run. 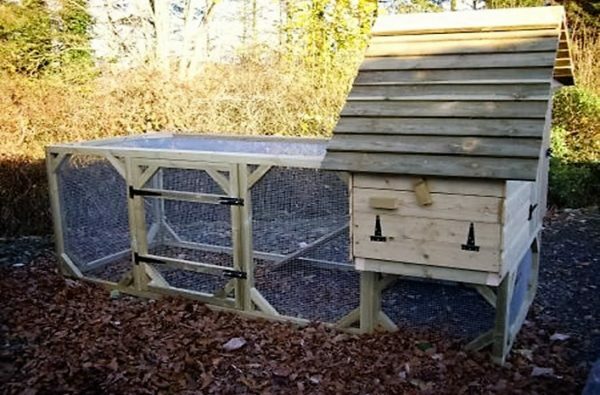 Made Using Pressure treated timber by a Skilled Craftsman. 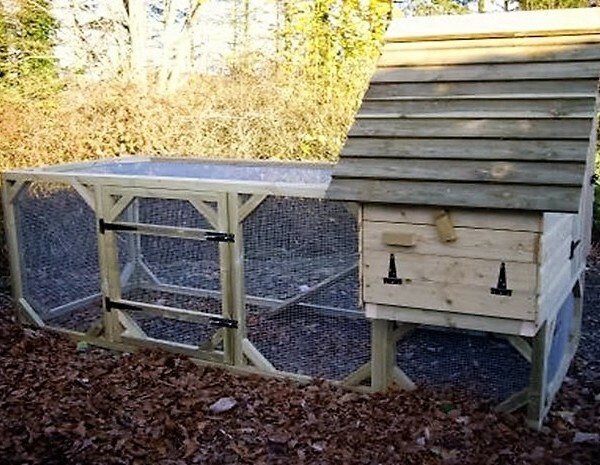 This was one of our very first and still most popular hen houses. It has been adapted to have a run built with it, suiting a wider range of customers. 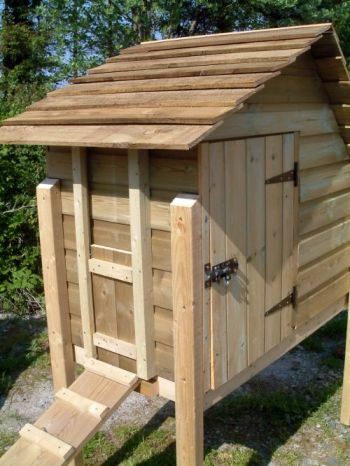 A pulley to open and close the pop-hole for hens to access or be securely shut in at night. Made with strong pressure treated wood for long lifespan. Raised approx 2 ft off the ground, sat on the frame of the run, providing shelter underneath or to hang a feeder. Very easy to clean out with wide access door – no bending down! Once purchased, the High Haven can be either be collected, or delivered either via our onsite carpenter or via a haulage company.